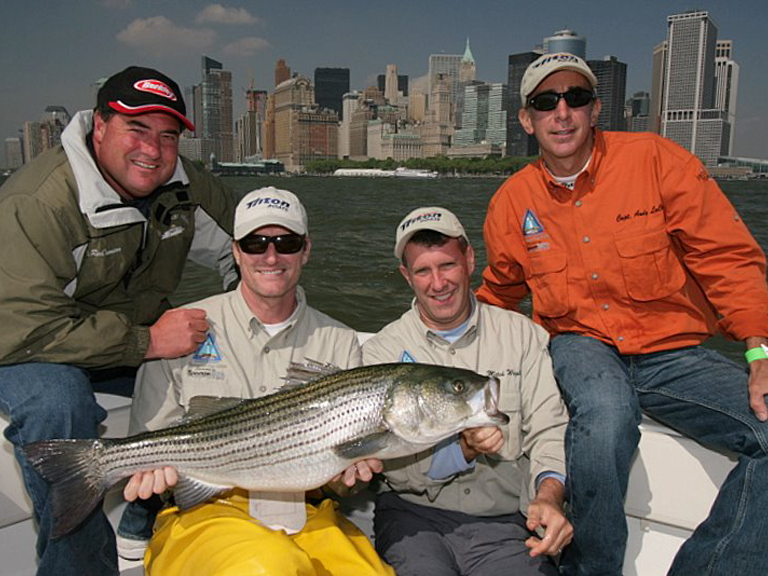 Captains Andy LoCascio and Rich Tenreiro are joined by Peter Bordes, Mitch Wergiles, and mate Kyle Ondrey in the prestigious Manhattan Cup Tournament sponsored by the Fishermen’s Conservation Association. Along with the most impressive field ever assembled. They take a long run to Jamaica Bay and catch more keeper striped bass than the rest of the field along with some monster bluefish. Don’t miss the amazing Hudson River shotgun start!